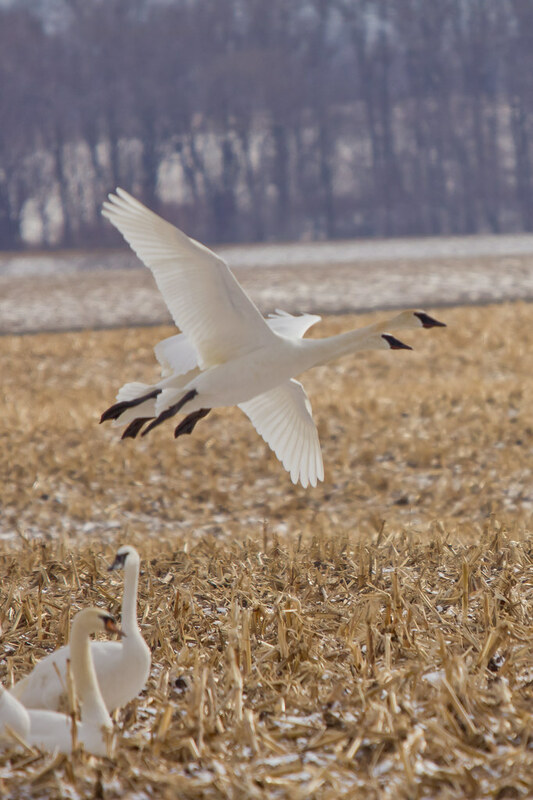 Heartland Outdoors Forum | Swans! great pics. 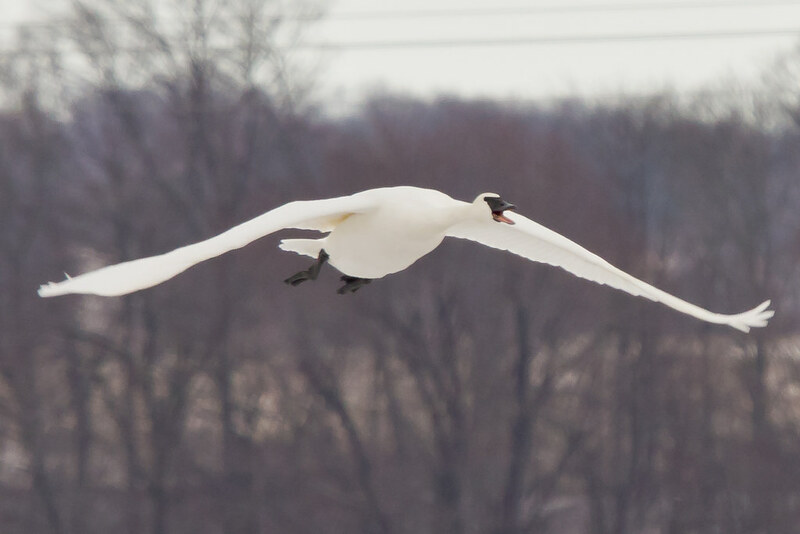 We have a pair of swans behind my house on the lake. They are mingling with 500 canadian geese as I type this. They are certainly a beautiful bird. That is cool. I believe you have all three species of Swans in these pics. 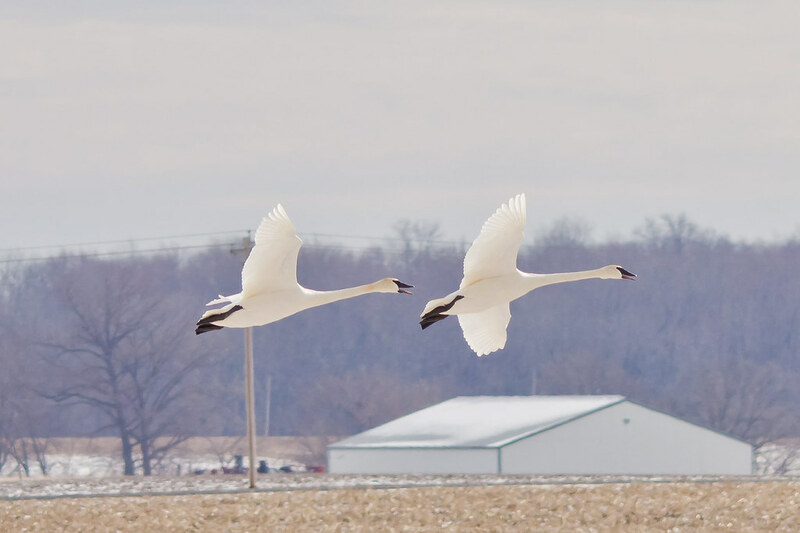 The single bird in the first pic, and the two in flight in pic 5 look like Trumpeter Swans to me. The four in pics 3 and 4 are def. 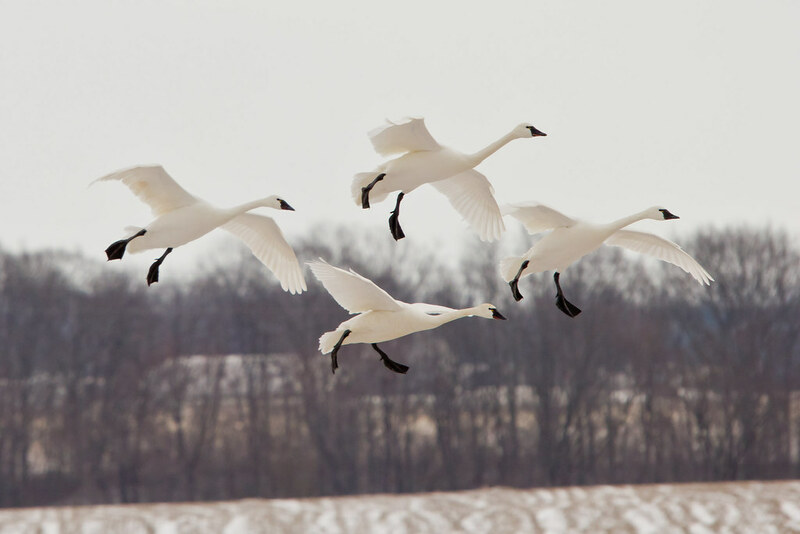 Tundra Swans with the yellow in front of the eye. 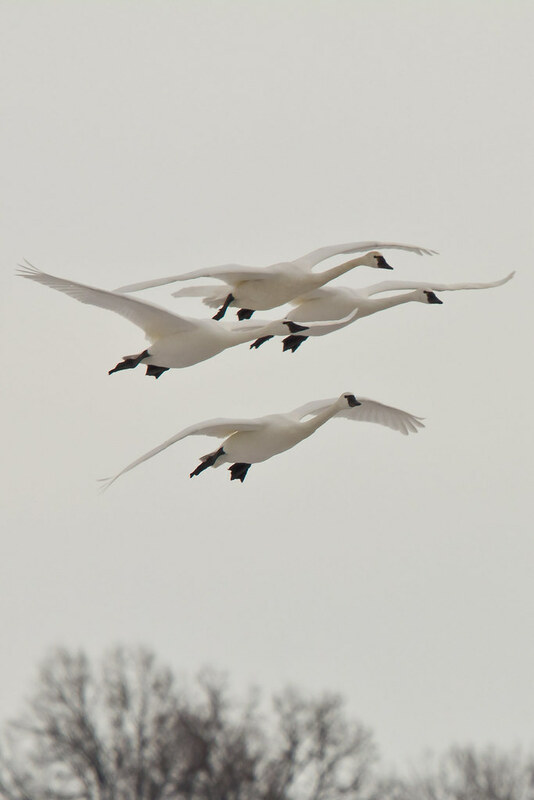 And the two swans on the ground in pic 5 are Mute Swans. Awesome! Thanks everyone. Illin, you appear to know your swans? I only figured trumpeter and mute…indeed some have that little yellow spot in front of the eye. Thanks for the heads up! Great pics! Thanks for posting! Oz- I wouldn’t say I know Swans that well. I got into bird watching a couple years ago and really like the hobby. 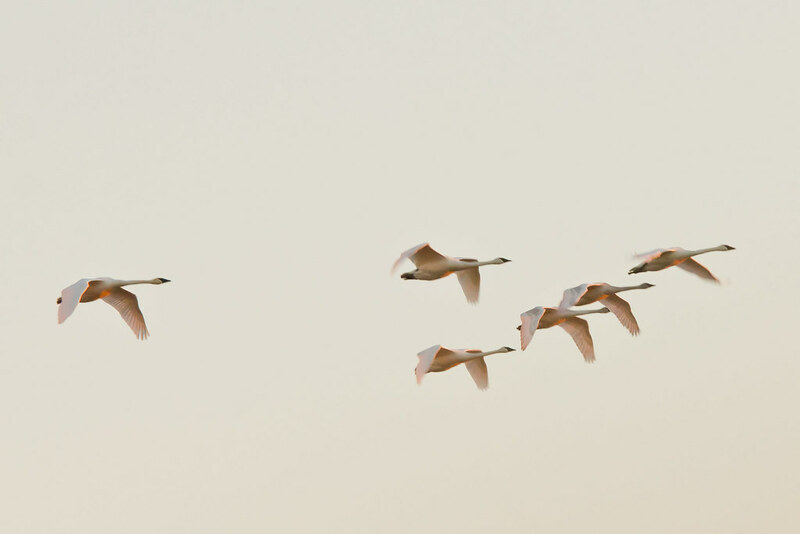 Separating Tundras and Trumpeters is one of the toughest ID challenges of all of our birds. The pics you got of the Tundras are just so good that it made for an easy ID. You don’t see pics that good that often. Challenging ID’s really tests your mind, which is part of why I love birding. Not to mention with the way birds can show up where they aren’t suppose to means you never know what you could find around the next bend. I think birding is something more outdoorsmen should try out. The thrill of the hunt is there, searching for that next species on your life list can be addicting. You get to do it year round with no regulations or fees, unlike the way hunting and fishing keeps going. I get out in the field more now than when I just hunted and fished, and in more places and more varied habitats. When you are walking the woods a few times a week year round with binoculars around your neck studying everything you see you begin to realize how little you knew about all our native wildlife, not just birds. You begin to notice the seasons subtle change on every trip afield. Birding gets a bad rap as being a lefty limp-wrist hobby, but it really gets you in tune with what is really going on out in the field. It really surprises me that with all the people that claim to love the outdoors that there are not more birders out there. I am not saying I don’t love hunting and fishing, it is just another way for me to get out and enjoy nature. Sorry to hijack your thread with this little soapbox rant. 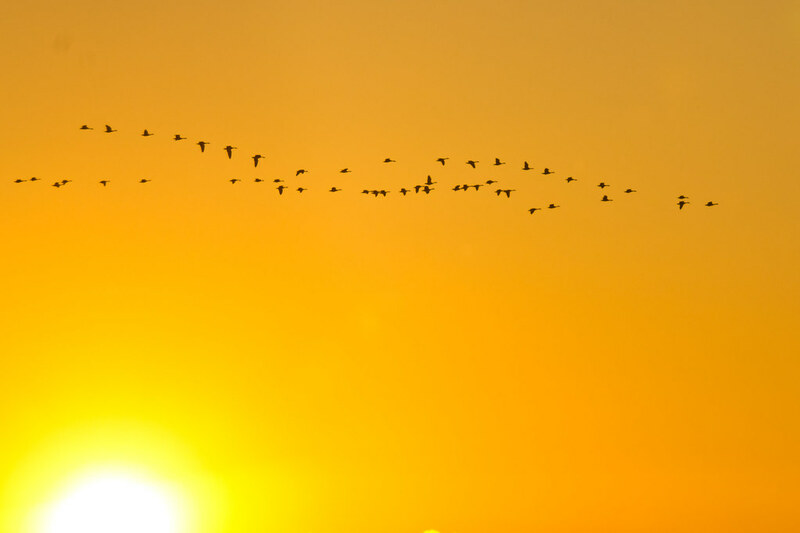 I have been meaning to start a thread of my own on here about birding.